Luxembourg-based company, Ardagh Group has entered a $3.42bn agreement with Colorado’s Ball and UK-based Rexam to buy metal beverage can assets in Europe, Brazil and the US. Ardagh will acquire seven Rexam metal beverage can manufacturing plants and one Rexam end plant in the US; eight Ball beverage can manufacturing plants; two Ball end plants; and two Rexam beverage can manufacturing plants in Europe. Ball supplies new, sustainable packaging solutions for beverage, food and household products. The company agreed to acquire Rexam in February 2015 and has been trying to receive regulatory approval for the deal. The deal also includes the sale of two Ball manufacturing plants in Brazil, as well as functions in Bonn, Germany; Chester, UK; Zurich, Switzerland; Sao Paulo, Brazil; and Chicago and Elk Grove, Illinois, in the US. Ball expects to close its proposed deal to buy Rexam by the end of June. Upon completion of the deal, Ball and Rexam will operate 75 metal beverage manufacturing facilities and joint ventures worldwide. The companies will also offer support services in America, Europe, Asia, the Middle East and Africa. Ball and its subsidiaries currently employ 15,200 staff, and reported sales of $8.0bn in 2015. Ardagh currently runs 89 glass and metal manufacturing production facilities in 21 countries. 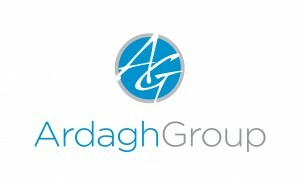 Ardagh Group is a Luxembourg-based producer of glass and metal products. It was founded in 1932 as the Irish Glass Bottle Company. The company operates 89 facilities in 21 countries, employs approximately 19,000 people and has more than €4.7 billion in revenue.